Medical indemnity insurance is rarely high on the list of priorities of junior medical staff. Exams, money, exercise, relationships and future work prospects tend to come first. As a junior doctor though, medical indemnity can and should be a serious consideration. As a medical student, my first encounter and exposure to medical defence organisations (MDOs) involved joining numerous providers during the orientation week at university. We were invited to sign up for free, and so we did – basically to anything thrust in front of our faces, as long as we had a pen in hand. As we moved through postgraduate years and were required to pay for professional indemnity, it became more about choosing the right MDO to best fit our needs. As with any kind of service industry, cost is often a primary determinant, but you will also need to take into account the type and quality of services offered and how it matches your needs. The importance of medical indemnity on your career can be overlooked by clinicians who, appropriately, are more concerned about the health of their patients and personal career progress than which MDO to be involved with. However, medical indemnity serves more purposes than simply protecting your career reputation if and when things go wrong.Importantly, in a mutual organisation like MDA National, you are a highly valued voting Member – what you think and the support you need matters. MDA National advocates on behalf of Members on key medico-legal matters that have an impact on our profession. So, providing feedback and taking an interest in the legislative submissions MDA National is involved in means you can have more influence on policies and decisions relating to junior doctors today. building relationships with organisations such as the Australian Medical Association (AMA), Australian Health Practitioner Regulation Agency (AHPRA), Australian Medical Students’ Association (AMSA), state and federal governments, specialty colleges, medical schools and other stakeholders for the benefit of Members. Engaging with your MDO can be of great importance, especially when things go wrong and you need medico-legal support – in which case, call early rather than later. The majority of clinicians, particularly during their junior years, don’t take advantage of the services offered by their MDOs. Sometimes it’s because they genuinely don’t need to, and sometimes because they don’t know what’s available. It’s when you are faced with problems, and threats to your career and professional standing, that you want the highest quality of service you can get. This is when you realise the true value of being part of an MDO that cares about you. As an intern, particularly on rural placements with minimal support, I called my medical indemnity provider two or three times when I found myself in tricky situations. I was a curious law student at the time, on a rural rotation with no outlet for entertainment, and would actually call different MDOs and compare advice and service to determine which I thought was the most useful. Whilst I don’t necessarily recommend doing that (not everyone takes pleasure in such things and, as an intern, it was possible to hold policies with a number of MDOs at effectively no cost), it helped me determine which MDO I would choose to be involved with down the track when I had more skin in the game. 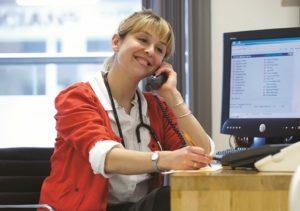 When contacting MDOs as a junior doctor, the reasons are primarily for advice and an opportunity to lodge in writing your version of events with a third party in a confidential setting (rather than, for instance, with the hospital or employer whose interests aren’t always aligned with your own). It’s also for reassurance and peace of mind. Of course, none of these are mutually exclusive. The quality of clinical practice as we know it today and the relative strength of the medical workforce is, in part, due to the actions and perseverance of a number of key individuals and organisations within the medical indemnity profession. These men and women lobbied and fought hard to achieve aspects of tort law reform and to ensure indemnity insurance was affordable during the late 1990s and early 2000s, and many are still doing similar work today. Your involvement with your MDO can have a real impact on MDOs’ professional indemnity insurance policies – with a possible flow-on effect that can influence medical students and doctors, both junior and senior – ultimately benefiting you in your career pathway.